Home > tourism > DDNet is on pilgrimage in Japan! Stay tuned for lots of articles! DDNet is on pilgrimage in Japan! Stay tuned for lots of articles! Each year I make a pilgrimage to Japan to go to Tokyo Game Show. I've since added the Miku Mirai concerts to that little tradition. By the time you read this, I'll be there again! For the next three weeks or so, I'll be visiting places, taking photos, and writing up all the awesome things you can do in Japan that you might not otherwise consider doing. 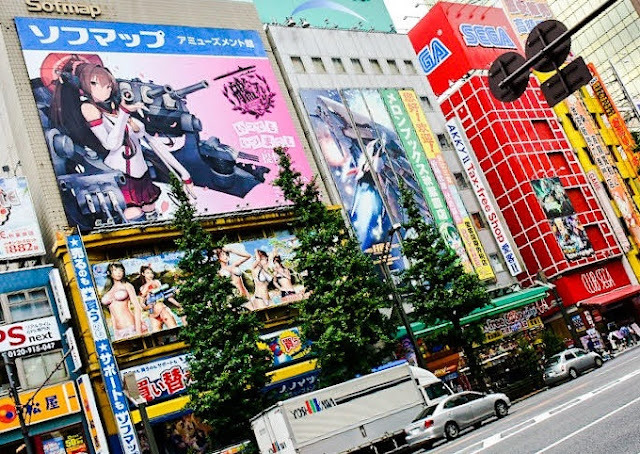 I mean, sure, I'll be spending a day in Akihabara, dropping into TGS, and all good stuff, but if you ask me, getting off the tourist trail a bit and exploring the real lifestyle of Japan is what's really exciting about the country, and I'll be doing plenty of that as well. And of course, taking photos. Lots, and lots, and lots of photos. Japan is a beautiful country to photograph. You can read the articles that I wrote from last year here. With the exception of the TGS articles, this year's pieces will be premium articles (hey, I have to justify this trip somehow), but if you're planning a trip there, looking forward to perhaps going there in the near future (2020 Olympics are coming...), or simply interested in the country beyond its games and technology, then I promise the article each day will be worth the price of a cup of coffee for a month's access. In the meantime, the rest of the DDNet team will continue to keep you up to date with all the awesome games and releases that are coming in the month ahead, of course.